The main and favourite topics of her conversations are Karan Johar, Hrithik Roshan, and Aditya Pancholi and she is leaving no chance to hit them left, right, and centre. Kangana Ranaut is leaving no stone unturned to unleash her binge of fiery attacks on her associates from the film industry that too at a time when her upcoming movie 'Simran' is all set for release. Kangana is going places for the film's promotion, but strangely she is talking about things other than Simran in her interviews. Kangana has been very vocal and unabashed about her ‘affair’ with Aditya Pancholi and their hostile, unpleasant relation. This was when she was a beginner into the glamour world. Kangana has relentlessly accused Pancholi of severe mistreatment and abuse. In an interview aired on a TV channel, she had said, "Aditya got an apartment for me but didn't allow my friends to come there. It was a kind of house arrest. Then I went to meet his wife. His daughter is a year older than me. My film 'Gangster' was about to release then. I was a minor. I remember going to his wife (Zarina Wahab) and meeting her, and I was like 'Please save me! I'm younger than your daughter. I'm a minor and I can't tell my parents.' She said to me that they were relieved that he was not at home otherwise he raised his hand on domestic helps and others. She said it's actually good for us if he is not around, so I can't help you." 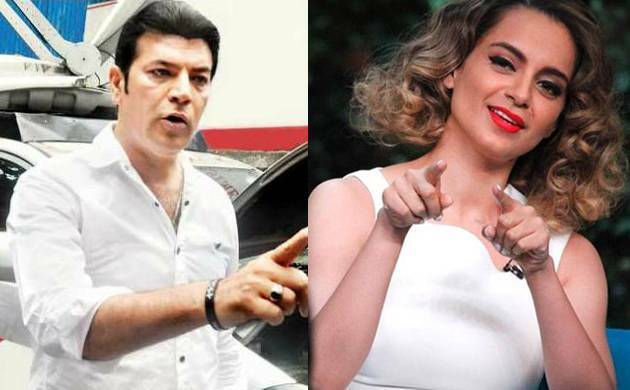 Of all the three men on the burning tongue of Kangana, Aditya Pancholi has taken a strong umbrage to the accusations she made against him. "She is a mad girl, what to do, did you see the interview? Didn't you feel like some mad person was talking? Who talks like that? We have been in the industry for so long, nobody has ever spoken anything so evil about anyone. What should I say, she's a mad girl. If you throw stones in mud, it will only spoil your clothes," retorted an angry Aditya while talking to Bollywoodlife. He further said, "I am going to take a legal action against her. She is lying that's why I am taking legal action against her. I don't know about other people, but as far as my story goes and what she has spoken about me, she has said all lies. She has to prove that I have done that. My family is very much affected by it. My wife and I will take legal action against her."